Thirty years and still going strong, with a bright future ahead. Yup, the AS/400, iSeries, IBM i is now 30 years old and they are just getting started bringing even more cool features and functions to this dynamic platform. For years, I have been hearing that the AS/400 is old technology, well we have been the IBM i for the last 10 years, and if you haven’t looked at all the new technology being introduced with IBM i 7.2 & 7.3, then you are really doing a disservice to your company. Couple that with POWER9, and you have a dynamic solution that can be the base infrastructure to propel your company into the future. Plus, last month I had the pleasure of spending 3 days at the IBM Rochester plant, being briefed by the IBM i development staff. What they are bringing to the next release of IBM i will spin your head, I left very excited and with my opinion confirmed that the future is very bright for IBM i. If you are on older hardware, check out the third article in the newsletter how you can get 4 times the performance of older hardware for less money than you are currently spending. This is a no-brainer. If you are still on IBM i 7.1, do you know that iTech Solutions can get you up to 7.2 or 7.3 for less money than you are paying in extended support? Another no-brainer. In February IBM introduced the POWER9 family of scale-out servers, which are targeted towards most of the IBM i community. A very exciting announcement on hardware that should support the IBM i community for the next 3 or 4 years. To learn more about this, and enjoy a baseball game, see the events section where you can sign-up for 9 innings with Power9. 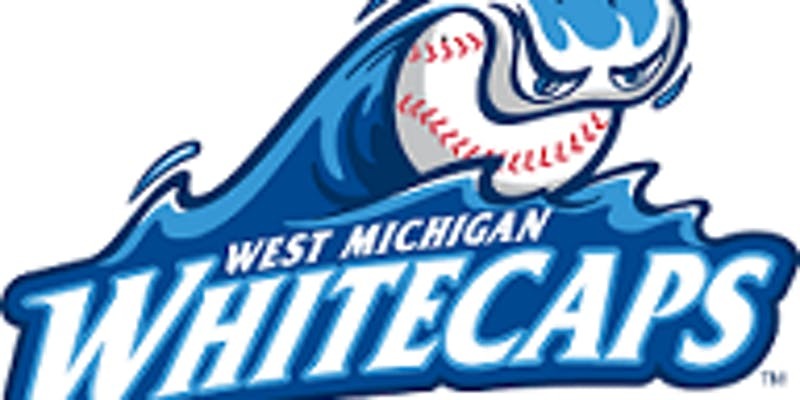 We have events scheduled in Portland ME with the Sea Dogs, Manchester NH with the Fisher Cats, Pawtucket RI Paw Sox, Hartford CT Yard Goats, and in Grand Rapids MI with the Whitecaps. Additional events are still in the planning stages. These will be educational and fun, so signup now. There have been updates to the PTFs for Spectre and Meltdown for IBM i and the FSPs in the Power hardware. There have actually been a few sets of these PTFs, so make sure you have the latest. You need PTFs for both IBM i itself and the FSP. Check out our PTF section in the newsletter. We have been putting these on customer’s machines, and its time to get them loaded onto yours. In general, we have noticed a 5% performance impact. Of course, your mileage may vary. If it’s easier, just give us a call and let us do them for you. On July 1, IBM is increasing the prices on Memory within their Power 9 system offerings. You will not want to think about paying more when expressed as a Percentage. In reality, for the 2-5% uplifts, it’s only a couple hundred dollars. However for the 128GB Config a 35% uplift, it’s real money. 128GB- 35% – WOW!!! That’s a $3,400 increase right there!! Contact our sales team to place your order before the increase. This newsletter has 6 articles. The first article is by Nathan on HMC Remote Console Settings. The second article by Yvonne is on What are Managed Services. The third article by Charlie is comparing the cost of a new POWER9 with old hardware. The fourth article about using SQL for IBM i System Admins to see who has excessive authority on their user profiles. The fifth article lists some of the upcoming events in which iTech Solutions will be participating. The last article is for your reference with updated PTF information. Please note that for all 7.1 customers that are on the Quarterly or Semi-annual iTech Solutions PTF maintenance plan, we will be installing the latest PTFs as you are most likely now on Technology Refresh 11. For the 7.2 customers, we will be installing 7.2 Technology Refresh 8, and 7.3 will be Technology Refresh 4. HMC Remote Console Settings (and Remote Control Panel, too !!). The Hardware Management Console has long offered the ability to connect to an LPAR’s console session remotely through the Client Access software. The Java-based Access Client Solutions software brings a new feature to the table in the form of Virtual Control Panel access through the HMC – a trick that Access for Windows can only handle on a LAN console. Recent versions of the HMC software come configured out-of-the box to allow vanilla 5250 console connections, but a couple of tweaks may be needed to set up the console and control panel functions in ACS. In addition, if your HMC started on an older version and has been upgraded a few times you may find that even the 5250 connection isn’t enabled. 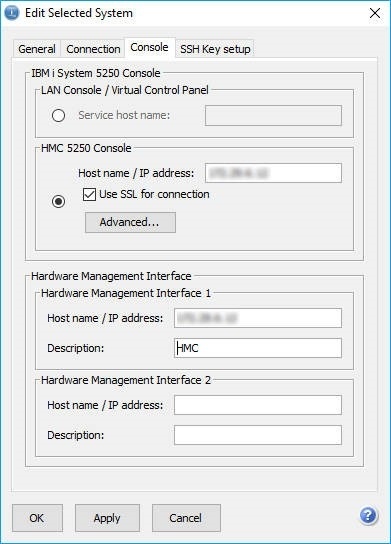 Today we will go over all of the settings that need to be checked on the HMC to enable both 5250 Console and Virtual Control Panel access, as well as how to make these features actually work in Client Solutions. The HMC steps also enable Console connections in Access for Windows (although the Remote Command and Secure Shell functions mentioned below can be ignored if you are using AfW, as they are only needed by ACS). First, we need to make sure that the HMC has actually enabled the services we need to be running. In the Classic GUI (available on HMC v8.8.6 and earlier), these settings are located on the HMC Managementpage under the Administration heading. In the Enhanced+ GUI, these settings are located on the Systems and Console Security page under the Remote Control heading. Both of the options listed below need to be enabled. Once these services have been turned on we next need to check the HMC’s firewall settings to ensure the connections will be allowed through, and to do this we will need to visit the Change Network Settings function. In the Classic GUI this can be found under the Operationsheading on the same page as the Remote settings we checked above; the Enhanced GUI instead places this on the Console Settings page. Both versions are identical from this point on – just follow the steps below. Select the adapter with the HMC’s external IP, i.e. the same IP you use to connect to the HMC’s web page from your PC. Make sure 5250 and Secure Shell are listed in the bottom section of this screen (they may be there twice). Press OK on the screens to save any changes. Now that we have the HMC configured, we can shift over to Client Solutions and set up the console and control panel connections. We will need to open the main ACS window for this. Under the Management section click on System Configurations. Set the radio button in the HMC 5250 Console This will enable the inputs for this section. 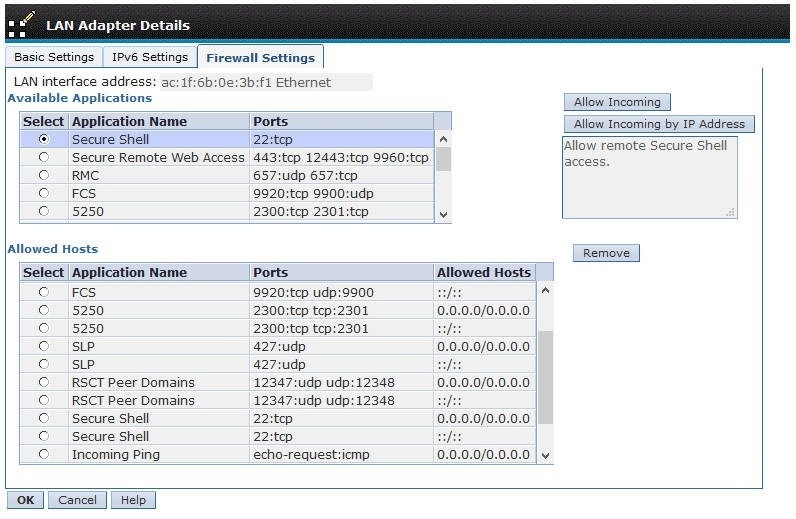 Enter the IP address of the HMC and optionally place a check next to the SSL option. If you choose to use SSL, realize that you will need to keep both the HMC and Java on your PC up-to-date lest you run into SSL/TLS version incompatibilities. When you use SSL, ACS may prompt you to accept the certificate the first time you connect to the HMC. Enter your HMC user id and click Connect and Browse. You will be prompted for your HMC password, and after a few moments the drop-down menus will populate with a list of the systems and partitions attached to the HMC. Use them to select the LPAR which matches the system you are editing and then click OK.
Back on the previous screen, you can also put the HMC’s IP address in the Hardware Management Interface 1 This will create a shortcut to the HMC on your main ACS menu. Click OK to save your changes and then close the System Configurations window. The 5250 Console, Virtual Control Panel, and Hardware Management Interface links on the main ACS window will now work for the system you’ve set up. Clicking the console link will open a 5250 emulator which will ask for your HMC credentials, the session key, and then connect directly to the console for that system, bypassing several of the menus you’d normally have to navigate on the HMC. Clicking the Virtual Control Panel link will open ACS’s version of the VCP which – while not as aesthetically pleasing as the one in AfW – does let you view the SRC history and meanings (hover your mouse over a code to get a pop-up description). The Hardware Management Interface link will open your default web browser and point it to the HMC’s web interface. If you need help with this, or upgrading your HMC to the latest release, please Contact our sales team. In one way this is an easy answer, iTech partners with companies to provide IBM I infrastructure support supplementing the staff employed by the organization. Of course, once we look beyond the sound bite we see more complexity. What this means to our individual customers is as diverse as the teams we partner with. We are currently managing over 25 customers with about 100 systems being administered. Over 90% of these systems/LPARS are on the customers’ individual hardware with the remainder HA solutions utilizing cloud functionality. Our duties range from PTF application and OS upgrades, issue resolution and monitoring, replication, backups, DR planning and testing, security analysis, large scale project management and IT strategy. It can also drill down to basic tactics such as watching print queues and resolving issues immediately during a busy shipping system. These needs are determined by working closely with companies who use us and creating a team together. As all IT teams get more resource bound executives need to decide what they need as in-house resource skills versus what is best outsourced. 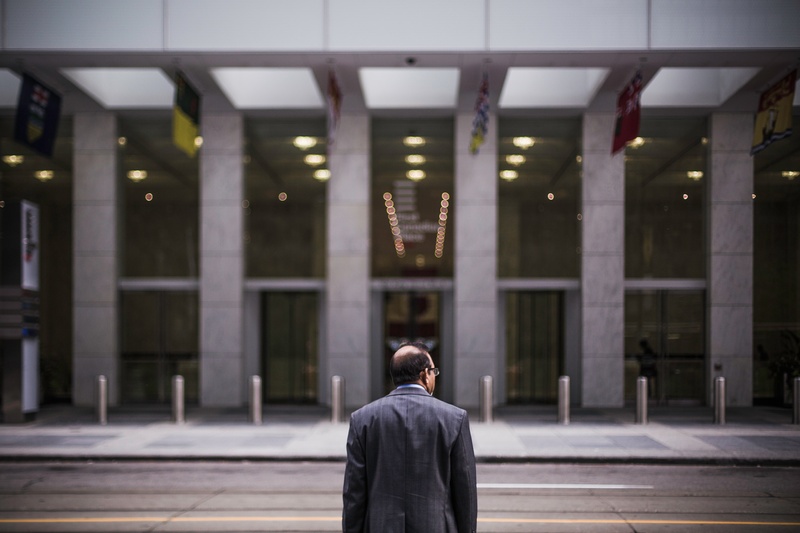 The clearest advantage using iTech as a managed administrator is the very fact customers can time slice some of the most experienced administrators in the industry. The team has collectively over 150 years of experience, and with diverse specialties these are anything but the same year of experience multiple times. As long as I have been here, and as many conversations I have been a part of, I am still amazed at the depth of knowledge our technicians have and their willingness to share with each other and customers. There is also a great difference in the skill set of our customers’ teams. We have what people would expect; as the employee who performed the administration and operations on the i retires we are engaged to take over their responsibilities. We have seen these companies bring on new talent who becomes highly knowledgeable on the i without the overwhelming responsibility for the mission critical system weighing them down. We also have robust customer teams with advanced knowledge who simply chose to use iTech because it is more cost effective than taking away their star resources for these projects. So, how do customers come to use iTech? Usually, we are working with them for other projects or have been working with them over time. A new Power system, migration, or maybe replication initiative leads to seeing what our team brings to projects. As customers get to know us partnering feels natural. Working with their account managers we start phase one setting up our administration. During this time we analyze the systems and complexity, organize all projects in play, look at the IT team both IBM i and other, determine who at iTech is the best fit, then think about the industry and other hardware used plus software with an impact. This is not a one-size-fits-all solution to managed services! With all of this information we embark upon On-Boarding. Meeting weekly we put all our practices in place. Decide on meeting schedules, set up monitoring and create reporting and escalation protocols, determine where the system is via PTFs and Health Check and what needs to be addressed. By the end of this time our customers know what we will be handling for them and how and we know who needs to know what in their environment. There is no single answer to what iTech does as Managed Administration and so many ways similar projects have helped a wide range of customers. In the coming months I am going to look at the services we provide and explain how partnering has saved our customers time, money, and energy. If you need help managing and administrating your IBM i, then contact iTech Solutions for a discussion on how we can help you. How much Does a POWER9 Server cost? This is an actual customer situation that I worked on this week. The IBM i customer, who hasn’t upgraded their server in a while, is running an iSeries model 520, 9406-520, with a CPW of 3,300 in the P10 software tier running V7.1. The customer is currently paying $16,854 per year in maintenance for hardware, software and the V7.1 service extension. V7.1 is the last OS release supported on Power5 servers. Let’s see what is would cost the customer to replace this server with a Power9 server. It will approximately cost an additional $4,500 to install the new server and perform a system migration to restore the system on the new server and make it operational. The total cost for the new server, with installation and 3 years of maintenance is $34,550. If the customer continued to use the model 520 for 3 years the maintenance charges would be $51,723, assuming 5% hardware maintenance increase per year. This customer can actual save $17,173, over 3 years, by replacing the Power5 server with a Power9 server. The savings come from: not having to pay for the V7.1 service extension, going down from the P10 to P05 software tier, and much lower hardware maintenance warranties. And I might make a suggestion … use $4,325 of the $17,173 in maintenance savings to replace the spinning (also known as hard disk drives) with solid state drives. SSD’s are the future of storage and while about 3x the cost of HDD’s, the performance benefits are amazing. IBM i customers might not understand what PowerVM software provides. PowerVM is virtualization software for IBM Power servers. It provides similar function that VMware provides for x86 servers. PowerVM provides the ability to run multiple instances of IBM i on one server. Each instance is called a partition. Even if you do not need to run more than one partition of IBM i, PowerVM can still be a benefit. To sum things up, this is the time to bring your system up-to-date. You can realize a much faster, more reliable and safer environment while actually saving money. And IBM Global Financing is offering a 24-month Zero Interest $1 Buyout lease for Power servers and software. That means that you take the cost of the server ($30,050) and divide it by 24 to get your monthly payment ($1,252.08). At the end of the 24-month lease, you own the server. Please contact me or your iTech Solutions rep for a custom price quote or for any follow up questions. SQL for IBM i System Admins. Did you know that DB2 for i can be used to achieve better security, improved systems management and much more? A growing list of DB2 for i “services” have been provided as alternative ways to access IBM i operating system detail. I had the pleasure to sit down with Scott Forstie from IBM Rochester, who is the DB2 for i Business Architect. Scott has been busy the last few years bringing new functionality into IBM i via Database Group PTFs, and working diligently adding lots of new DB2 features and functions to 7.2 (Row and Column Access Control is one you probably heard of with 7.2). Temporal Support to IBM i 7.3. There are many new features being introduced into IBM i that are very useful for System Administrators. We usually don’t associate SQL with IBM i admins, but now the operating system is collecting all this great information in tables, that we can query. Scott shared an example of one just SQL statement, which I can see a use for at every site. Excess authority, too many users have *ALLOBJ authority. With IBM i 7.2 and above, DB2 for i has new capabilities to reduce the need to *ALLOBJ (via QIBM_DB_SECADM function usage) and to limit access to data within rows & columns of a database file. Yet, you still need to know just who has *ALLOBJ authority. The following query returns the full set of users who have *ALLOBJ user special authority, either directly in their profile or indirectly through a group profile. WOW, that is some query. This is the kind of information you need to better manage your machine. To execute this, from a command line type STRSQL, and then copy the SQL statement above into the editor and run it. You will be impressed with the results and hopefully can better lock down your machine. POWER9 is all about performance! With about 1.5 times the performance of a POWER8, this system is ready to help you knock the ball out of the park. 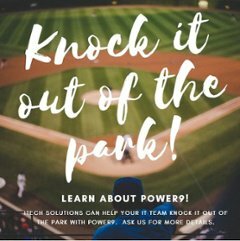 We’re offering our POWER9 roadshow at several minor league baseball suites over the summer to introduce our customers and prospects to the benefits of POWER9. We thought that it would be fun to enjoy 9 innings with you after the presentation, giving you a chance to network with our experts and other IBM i users. POWER9 Performance, Processing and more. IBM i Security – You aren’t as safe as you think. While the IBM i is known to be secureable, it isn’t secure out of the box. In fact, there are many default options that leave you vulnerable to potential attacks. 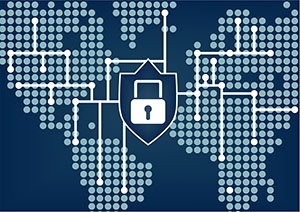 What can you do to secure your IBM i better? What are the exposures and risks? Phil will discuss the various security vulnerabilities that many IBM i customers are exposed to, and how you can protect yourself. Designed for programmers, this session will help application developers deliver more reliable work product. While the need for testing and QA is widely accepted and embraced, it can be difficult to achieve in smaller IT departments where one professional wears many hats. Whether you are your own QA or you want to bulletproof your unit testing prior to hand off, you will learn how to improve your own work product. 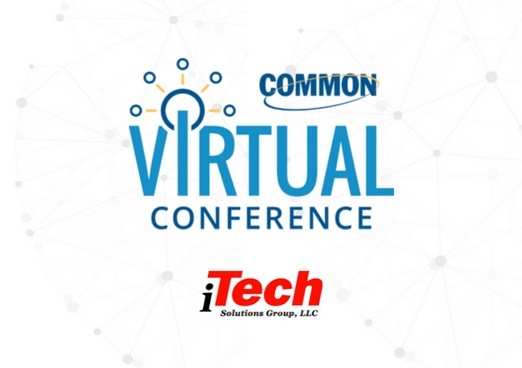 This overflowing session is designed to help ensure every IBM i administrator and operator has at least a backpack full of valuable tips for use at the office. From command line to shell to IBM Navigator for i, Steve will sprint through these tips at a pace of at least two tips per minute – at least 150 tips! This session is updated quarterly with new and relevant information, so you keep up with the updates IBM releases on a regular basis while still reviewing foundational tips. 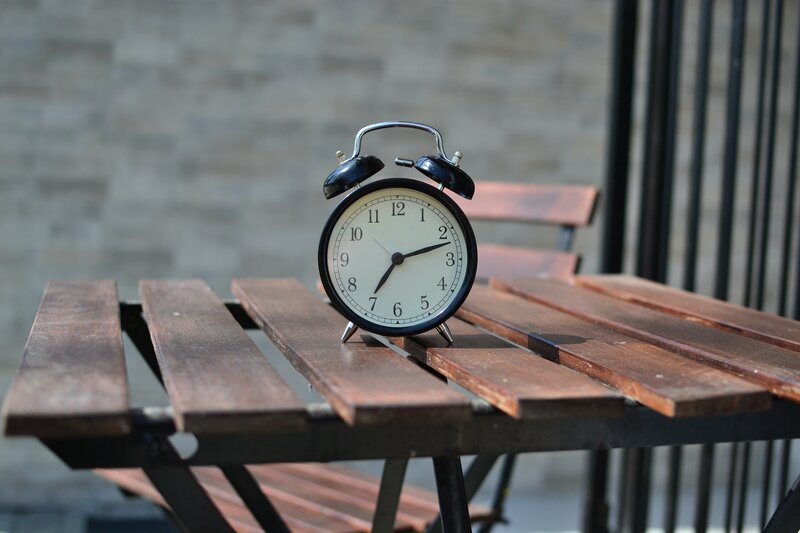 Through years of working with customers and prospects, we have found three things that tend to effect whether or not companies keep their OS current. 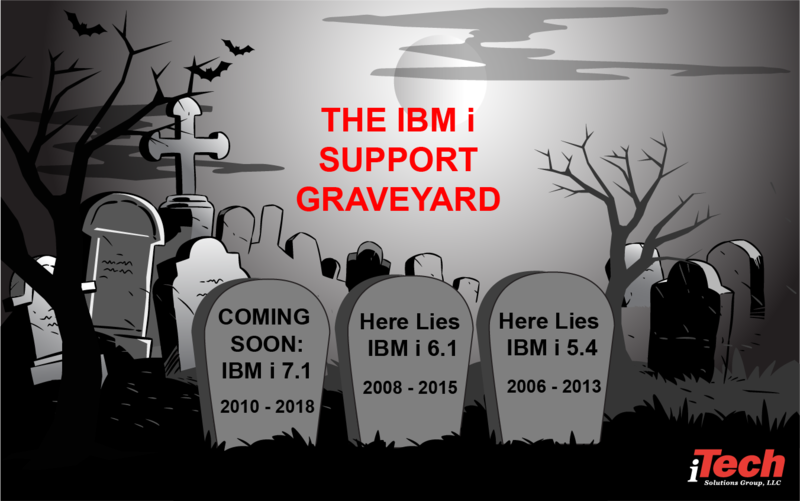 IBM recently announced that IBM i 7.1 support will end on April 30, 2018, which means it’s time to move to 7.2 or 7.3. If you believe your IBM i is 100% secure from attacks both inside and outside the firewall, then you are probably at risk.